Ørjan Nilsen Crosses Into The Pop Realm With Wonderful Album Single: ‘The Last Goodbye’ (Feat. Matluck). If the rest of Ørjan Nilsen’s third artist album ‘Prism’ didn’t already clue the world up on his peerless versatility as an artist, this album single will surely do the trick. 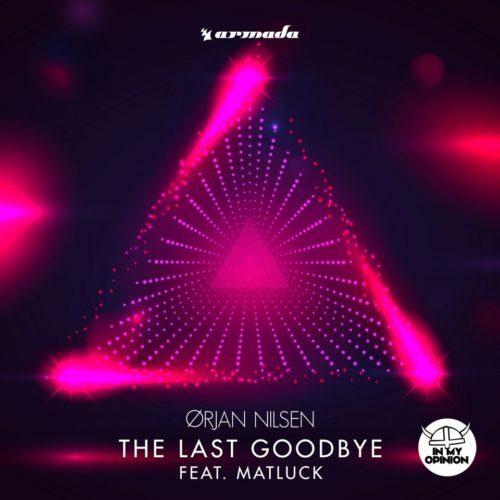 A delicious crossbreed track that touches the borders of pop and progressive house while remaining especially suitable for the gamut festival mainstages, ‘The Last Goodbye’ is bound to cause big waves on the pop side of the music spectrum. Yet another iconic cut taken from Ørjan Nilsen’s brand-new album ‘Prism’, ‘The Last Goodbye’ sees the Norwegian electronic music star join forces with Miami-born singer-songwriter and daytime Emmy award winner Matluck for an emotive record that blurs the lines between dance music and pop. Laden with stunning piano play, hooking vocals and a wonderfully progressive melody that will get stuck in any listener’s head in no time, the song perfectly captures the stirring emotion of a tear-drawing last goodbye while captivating fans every step along the way. While continuing to churn out wonderful singles that touch base with genres within and beyond dance music, Ørjan Nilsen remains one of electronic music’s foremost ambassadors. Past weekend, for instance, he touched down in Shanghai, China for a brand-new edition of the globally acclaimed Transmission event. Taking the stage alongside fellow Trance luminaries such as Aly & Fila, Andy Moor, BT and Purple Haze, Ørjan Nilsen spoiled the crowd with an all-inclusive live set that featured many of his new album’s stellar singles, ‘The Last Goodbye’ included.